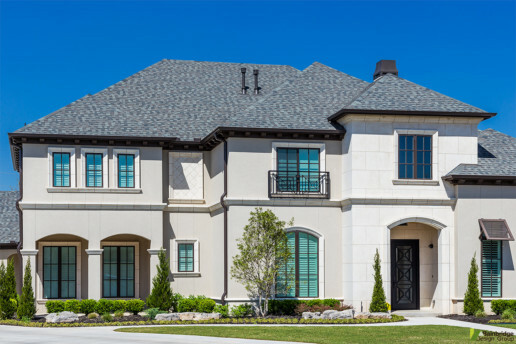 This transitional design features a stucco facade and low pitched hip roofs that are derivative of it’s Italian influence. 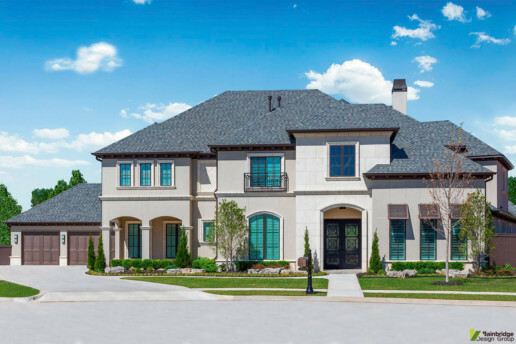 It includes a mixture of simulated cast stone detailing and rustic wood soffit brackets around the perimeter to achieve a balanced aesthetic that is sophisticated with a relaxed charm. Three Bahama style shutters on the front of the residence add to the casual elegance of the home.